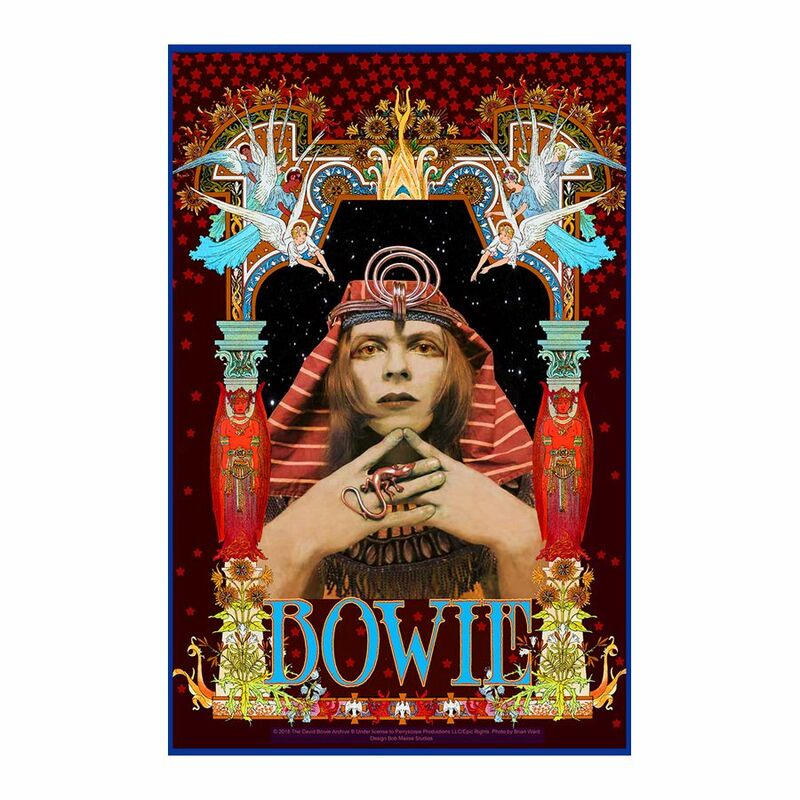 David Bowie Pharaoh Poster by Bob Masse. Signed by the artist. A very unique, colorful and beautiful art work poster of the one and only and there will never be another person like Him ....David Bowie! My Daughter just gave this to Me for Christmas being the huge Bowie fan I am and have been even before His Ziggy days! ....She knew I would love it! ....And I do! It is being professionally framed as of the moment I am writing this review and cant wait to get it back to hang along side all the other rare Bowie posters and Prints I own! Also FYI for others because the description don't tell what size this poster is! ....But the true size of it is 16" x 24" (16" wide x 24" tall)!...Someone else on there review said it was 20" x 24"! ....But again the one I received was exactly 16" x 24" by my measurements and also confirmed by the frame shop! I highly recommend this poster to anyone who is a Bowie fan! ....You wont be disappointed! Gorgeous poster. Fantastic colors. please note 20" x 24 " sz.